Preceded by Mercury's very first 2000 Series (78rpm), Mercury divided the releases into several series. This 8000 Series was used for Black Music (entitled “Race Series”). The 8000 Series was constantly released from 1946 to 1952, then all series was again unified into the 70000 Series. The last release of the 8000 Series was 8299. 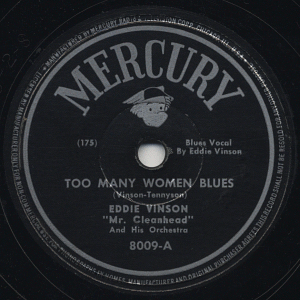 Most of the 8000 Series was released only on 78rpm format, except a few titles also available on 45rpms. visitors to this page since January 29, 2006.